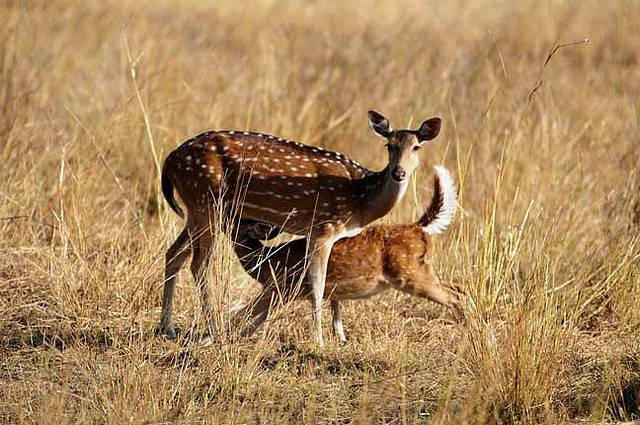 Once the royal hunting ground of Rajas of Rewa, it is now a national park. The Bhandavgarh fort and its surroundings forests share a rich history dating back centuries ago. It is even believed to be a part of forest where Lord Ram stayed during his return journey to Ayodhya. Bhandavgarh National park is located between Satpura mountains and Vindhya range of mountains with an interesting mixture of steep hills, moist forests and flat valleys. This is the home of the famous white tigers of Rewa and also is the park with the densest tiger population in India.